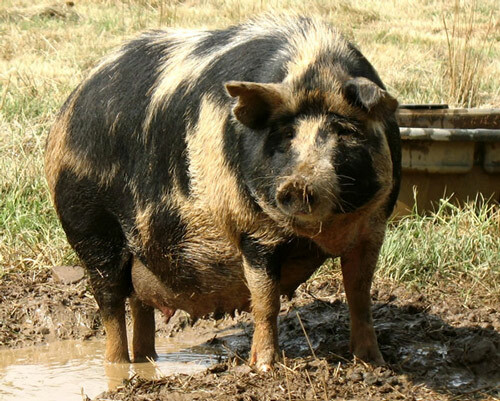 Ossabaw Island hog, or Ossabaw Island pigs, is a breed of pig derived from a population of feral pigs on Ossabaw Island, Georgia, United States. The original Ossabaw hogs are descended from swine released on the island in the 16th century by Spanish explorers. A breeding population has been established on American farms off the island, but they remain a critically endangered variety of pig.